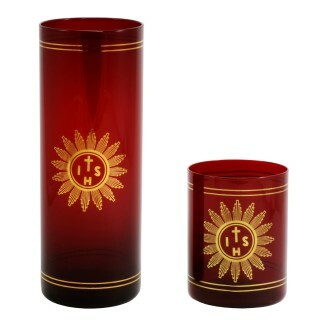 Candle ruby glass tumbler Are available in two sizes: Art. Q1115 Ø cm. 8 h. cm. 21 ..